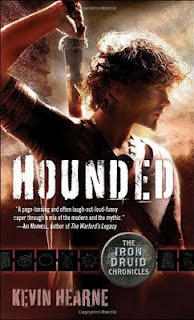 Hounded is book 1 in The Iron Druid Chronicles. I have read one of the books in this series before though I think it was book 3, you guys know how much I love to read books out of order. I had a really good time with it and knew I'd have to start it from the beginning at some point. 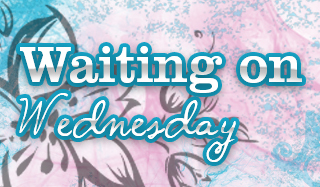 With the last book of the series coming out this past April, now is the perfect time to start it all! Atticus O’Sullivan finally set down some roots in Arizona and opened up an occult bookshop. He's the last of the Druids and knows how to keep a low profile since he's 21 centuries old but looks to be in his low 20s. He and his trusty Irish wolfhound are going about daily life when one of his old enemies, a Celtic god, decides he wants his sword back that Atticus has in his possession. With lots of power players in the mix and a conniving coven of witches, this novel is full of battles and intrigue. Hounded is an excellent start to an Urban Fantasy series I already know I'm going to binge listen to. I really enjoyed Atticus's character, and his dog Oberon was highly entertaining. The mix of gods/goddesses in the story kept my interest since the really could cause some mischief. If you haven't read this series before you should try this book out, you'll love it! Just a heads up in case you do want to grab book 1, it's currently on sale for $2.99 via Amazon Kindle.